Isn’t it great when the video or film you watch has an All Star cast? The Chuck Taylor in Films is about recent and classic films where chucks (Converse All Star Chuck Taylor sneakers) have a role. . . .
What do Michael Angarano, Sean Astin, Kevin Bacon, Jeff Bridges, Josh Brolin, Jim Carrey, Dana Carvey, Jim Caviezel, Josh Charles, Kieran Culkin, Jamie Lee Curtis, John Cusack, Miley Cyrus, Jeff Daniels, Leonardo di Caprio, Matt Dillon, Mel Gibson, Robert Duvall, Zac Efron, Dakota Fanning, Michael J. Fox, Brendan Frasier, Edward Furlong, Andrew Garfield, Ryan Gosling, Tom Hanks, Ethan Hawke, Jennifer Love Hewitt, Emile Hirsch, Josh Hutcherson, Ice Cube, Scarlett Johansson, Johnny Knoxville, Logan Lerman, Justin Long, Rob Lowe, Melissa McCarthy, Matthew McConaughey, Trevor Morgan, Mike Myers, Luke Perry, Chris Pine, Keanu Reeves, Ryan Reynolds, Tim Robbins, Craig Sheffer, Christian Slater, Will Smith, Sylvester Stallone, Kristen Stewart, Christopher Walken, Kate Winslet, Elijah Wood, Shailene Woodley, and Arnold Schwarzenegger have in common? 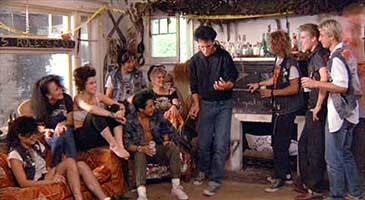 They have all starred in films wearing black Chuck Taylor high tops. Percy Jackson. When Percy Jackson is presented with a pair of flying black high top chucks to battle the hydra and other enemies, Percy Jackson and the Lightning Thief takes off. Flying black high top chucks: the sneakers of the gods. Very cool. 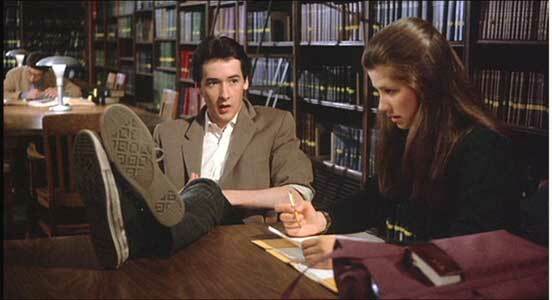 See a photo gallery of the coolest chucks moments in film. Click on the individual film title links for a cast listing, description, film categories, MPAA rating and The ChucksConnection rating along with links for purchase information, or to access a complete review with plot description, photos, commentary, and discussion of the best scenes where chucks appear. (These links are in bold type.) The latest film reviews are always listed in the What’s New section on the ChuckTalk page. 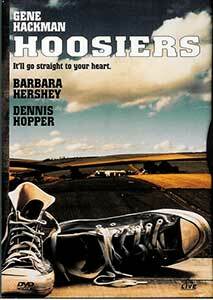 To qualify for a listing, one or more of the lead or main supporting characters in the film is seen wearing chucks. 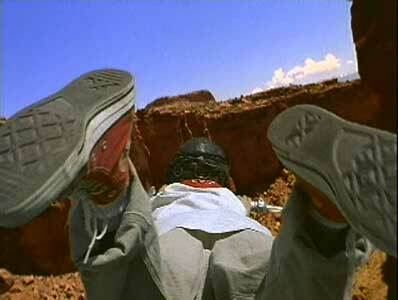 Actors who wear chucks in the films are highlighted in the credits list. Click here for listings by genre — comedy, drama, action/adventure, family, etc. to access the film listings page for that letter. Click on the link to see The ChucksConnection list of the best films from this page. Click here to see the Chuck Taylor-wearing actors honor roll, for actors who appear in more than one film wearing chucks. 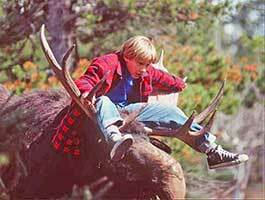 Check out the chucks honorable mention list, films where chucks make a cameo appearance. To submit information about a film, contact us at films@chucksconnection.com. 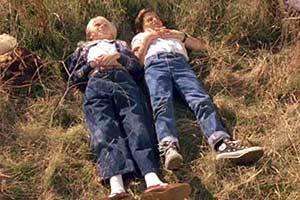 This page lists and provides links to short films and videos where a main character wears chucks, or chucks are featured somehow in the video. The Videos and Short Films with Chucks page does not include films from this page or videos from the Music Videos with Chucks page. Click on the icon to see the # Films Page. Click on the icon to see the A Films Page. The Absent Minded Professor. (1961). Adventures in Dinosaur City. (1992). Adventure in Greece (2014) see The Island of Secrets. Andy and the Airwave Rangers. (1988) aka Andy Colby’s Incredible Adventure. 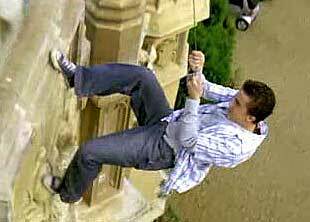 Agent Cody Banks climbing a London building. Click on the icon to see the B Films Page. The Between. (2013) See Don’t Let Me Go. Click on the icon to see the C Films Page. 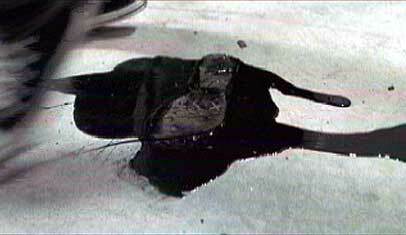 The Crawl Space (2003) see Gacy. Click on the icon to see the D Films Page. 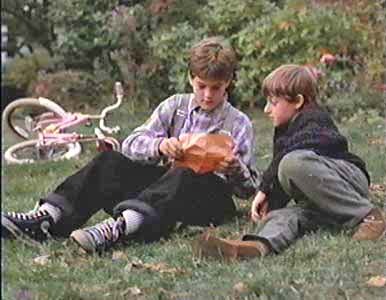 Joshua Jackson shows Digger his treasure map. Click on the icon to see the E Films Page. 18 Again! (1988)	is	in	the	#	list. Matthew Goode finds himself Chasing Liberty in his chucks. Encino Man is a big hit at Encino High. Stay connected in your chucks. Wearing chucks can turn your life upside down. Click on the icon to see the F Films Page. 2 Fast 2 Furious (2003) is in the T list. Click on the icon to see the G Films Page. Cool pups and black high top chucks. What more could a boy want? You know by the cover that this film is worth a look! 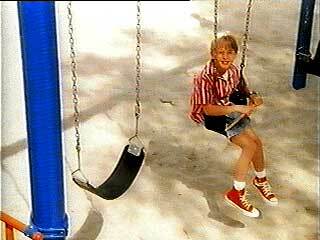 Swingers wear red high tops. Click on the icon to see the H Films Page. Home for Christmas. see Little Miss Millions. Click on the icon to see the I Films Page. In 3 Tagen bist du tot, see Dead in 3 Days. The Invisible Boy (2014), see Il ragazzo invisibile. Will Smith stars in I, Robot. Don’t join The Liar’s Club — wear genuine chucks. Click on the icon to see the J Films Page. Click on the icon to see the K Films Page. Movies with chucks are Just the Ticket. Click on the icon to see the L Films Page. 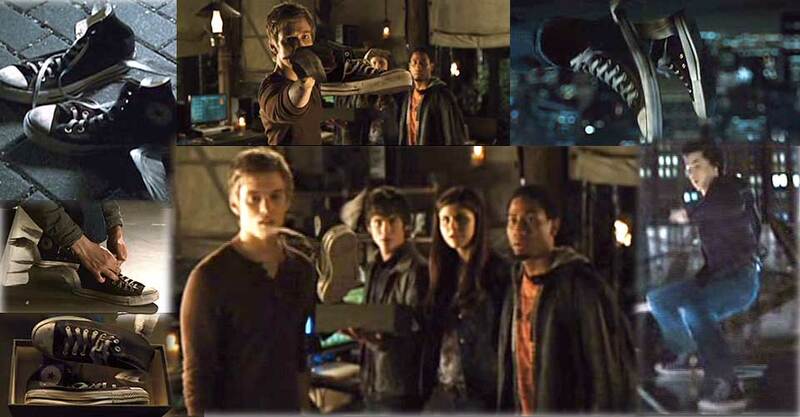 The Lightning Thief (2009) See Percy Jackson & The Lightning Thief. Little Gangster. (2015) See De Boskampi’s. Lomasankarit. (2014) see The Island of Secrets. Click on the icon to see the M Films Page. Mickey Matson (2013) See The Adventures of Mickey Matson. Click on the icon to see the N Films Page. Click on the icon to see the O Films Page. These red high tops were meant for flying! 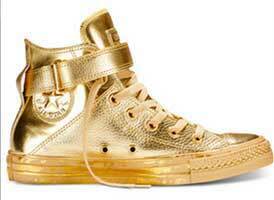 Magically transport yourself in a pair of chucks. Taking My Girl to out to lunch. These chucks are leaving a tell-tale clue. Click on the icon to see the P Films Page. Click on the icon to see the Q Films Page. Click on the icon to see the R Films Page. 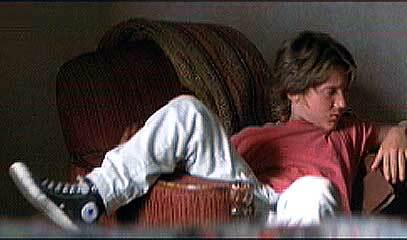 Trevor waits for A Rumor of Angels. These films are Pie in the Sky. What could be more fun than a Spring Break Shark Attack? Click on the icon to see the S Films Page. Click on the icon to see the T Films Page. A Ted Called Gooby. (2009) See Gooby. Twilight Zone — The Movie (segment 3) (1983). True Friends wearing high top chucks. 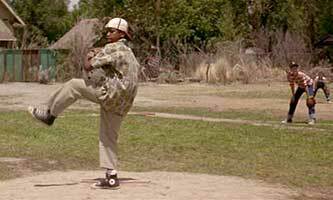 Check out his fastball on this Sandlot. Black high top chucks are A Sure Thing. Click on the icon to see the U Films Page. Click on the icon to see the V Films Page. Click on the icon to see the W Films Page. Wilkommen bei den Hartsmanns. (2016) See Welcome to Germany. Chucks can help you conquer the wild. Click on the icon to see the X-Y-Z Films Page. Zits. (1988) See Spy Trap. You’ve Got a Friend always with a pair of chucks. A wild ride in a pair of black high tops. Lacing up a pair of chucks is cool anywhere.